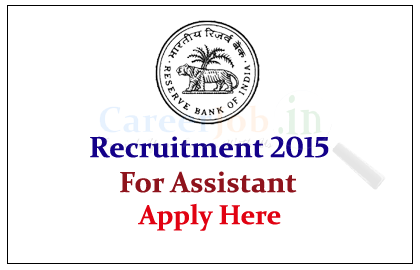 Reserve Bank of India (RBI) is recruiting 2015 for the post of Assistant for the year of 2015. 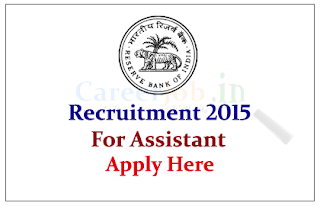 Eligible candidate can apply online on or before 3rd July 2015. The Reserve Bank of India is India's central banking institution, which controls the monetary policy of the Indian rupee. Interested and eligible candidate can apply online on or before 03.07.2015, for more details kindly check official notification.